SMALL BUSINESS WEB SERVICES Internet Consulting San Francisco, Marin, Sonoma | Happy Spring Equinox! Spring Equinox marks the moment when the Sun stands directly above the equator and day and night are of approximately equal length. Spring Equinox is also known as the Vernal Equinox. The word “Vernal” means “of relating to spring” in Latin and the word “Equinox” means “equal night” in Latin. In the Northern Hemisphere, the Spring Equinox marks the end of Winter and beginning of Spring. In the Southern Hemisphere it is when Summer ends and Fall (Autumn) begins. 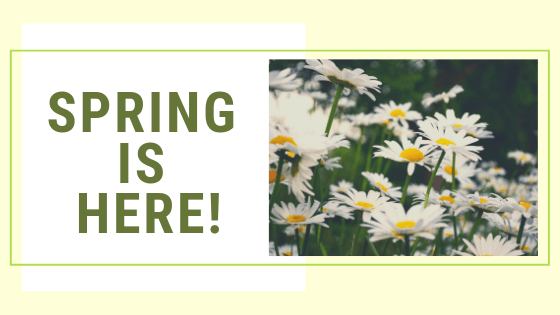 The 2019 Spring Equinox will be on Wednesday, March 20. On this day we'll get to see the "Super Worm Moon," the last supermoon of 2019. Learn more about this cosmic coincidence here. Spring is perfect for spending time outdoors. Trees get leaves again and flowers start to bloom. Lots of fun activities to do like planting, hiking, biking and more! Have a happy Spring Season from Kahl Consultants! Don't forget to bookmark our KC Astronews and follow us on social media for more astronomical news!